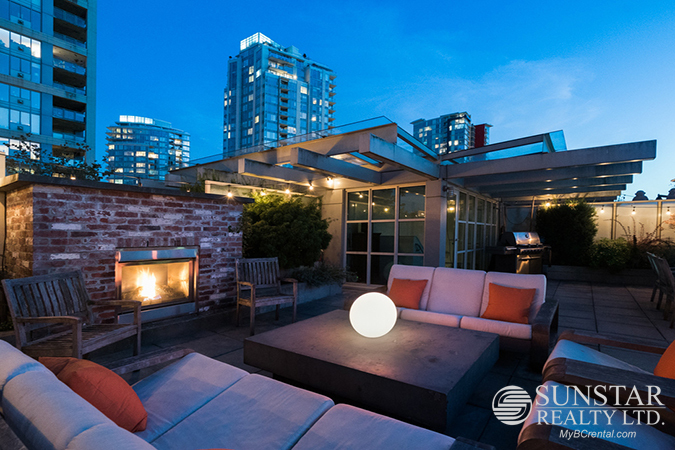 Gastown 1880sf Furnished Luxury Penthouse w/ 900sf Deck - $8500 — Lynn Swanson At a glance guide to all currently available fully furnished properties managed or represented by Sunstar Realty Ltd. 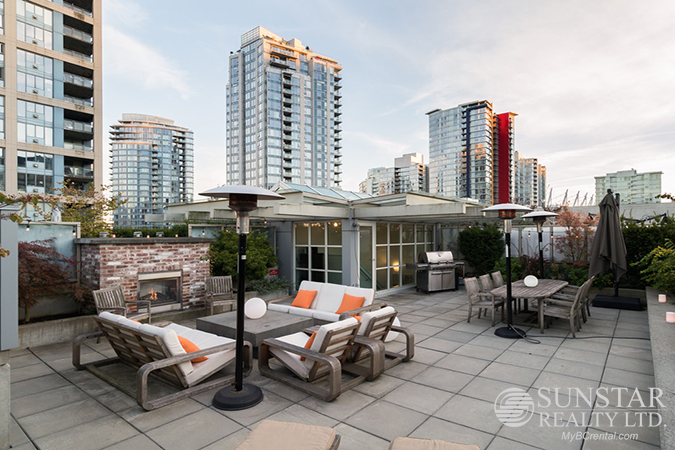 Included items: fully furnished from cutlery to linens; from flat screen TV to designer soap dispensers; fridge, stove, dishwasher, microwave and washer/dryer, utilities, local telephone, cable, and high speed wireless internet. 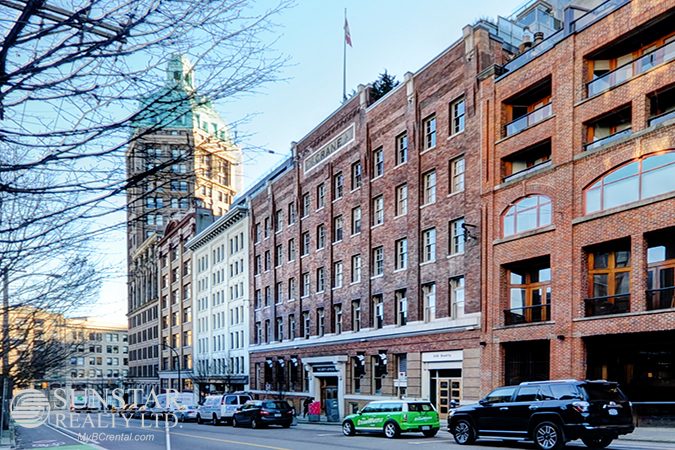 LOCATION: The Crane Building is located in Downtown Vancouver in the Gastown area at Beatty St and Dunsmuir. 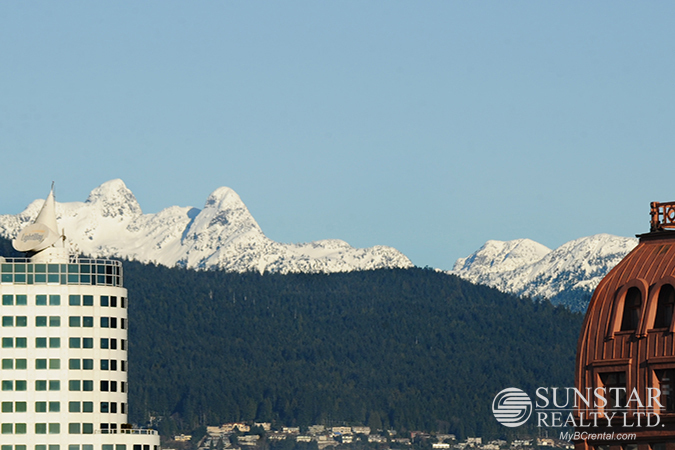 Walking distance to SFU, London Drugs, VFS, Victory Square, Steamworks Vancouver, Harbour Square, Portside Park, Canada Place and Waterfront Station. 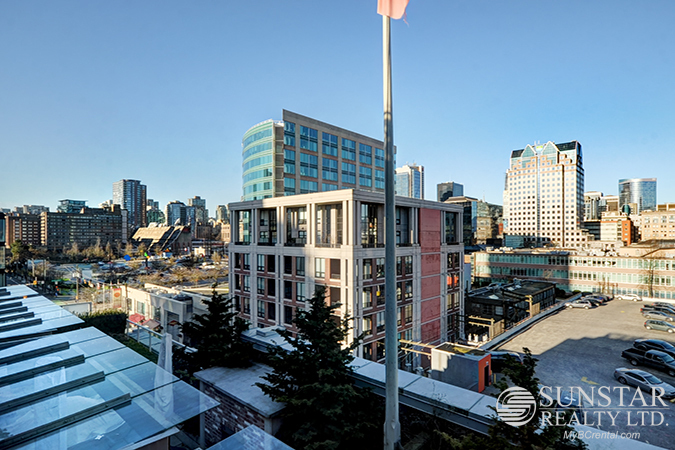 Close to everything, including a multitude of shops and restaurants, the seawall, Chinatown and Yaletown. 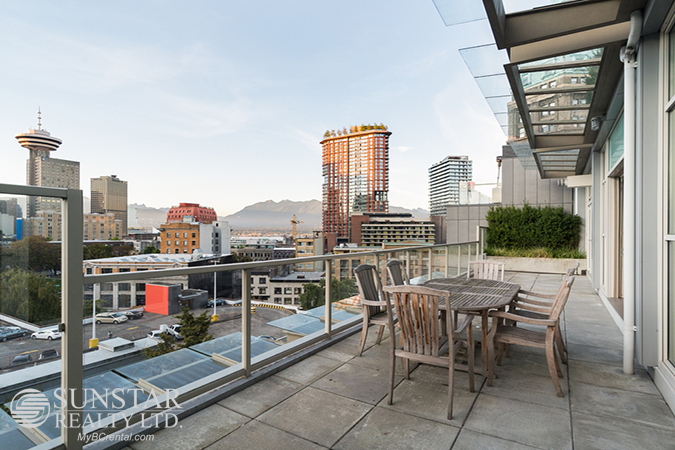 FEATURES: Stunning one of a kind penthouse located in heritage conversion building on 7th floor addition to the Crane building. 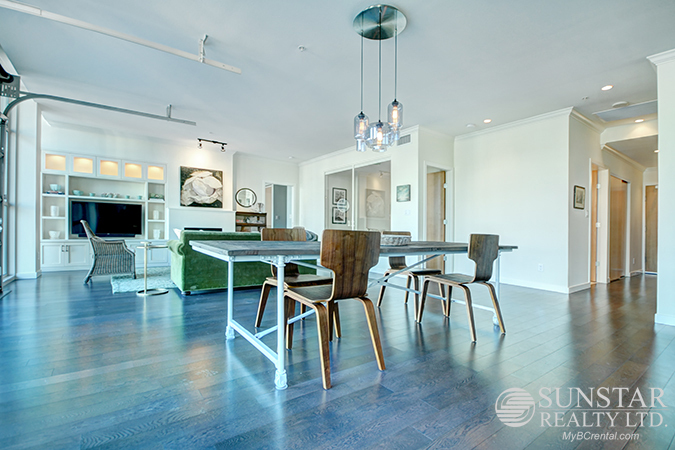 Sleek contemporary design with exquisite furnishings and accents throughout. 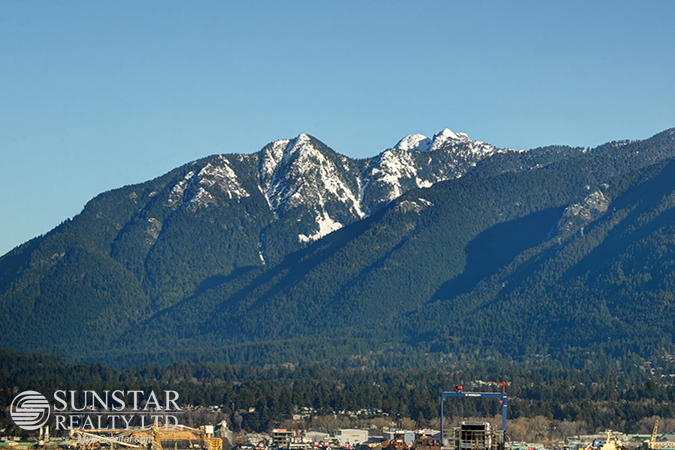 Spacious with over 1800sf of living area, with garage window wall opening to expansive 900sqft rooftop deck with gas fireplace and breathtaking water and mountain views. 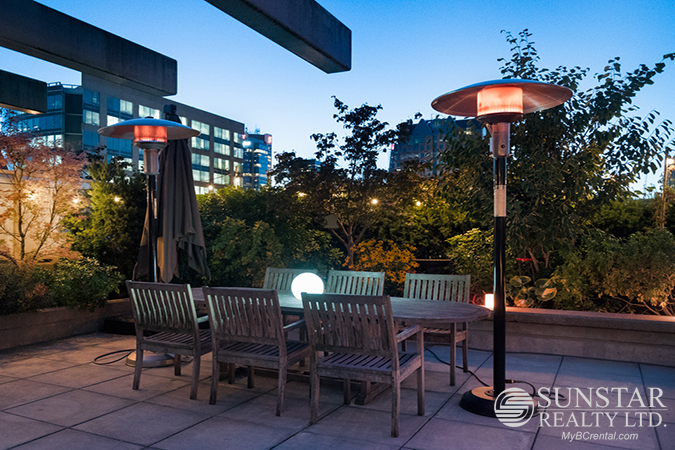 Additional terrace located right off living area. 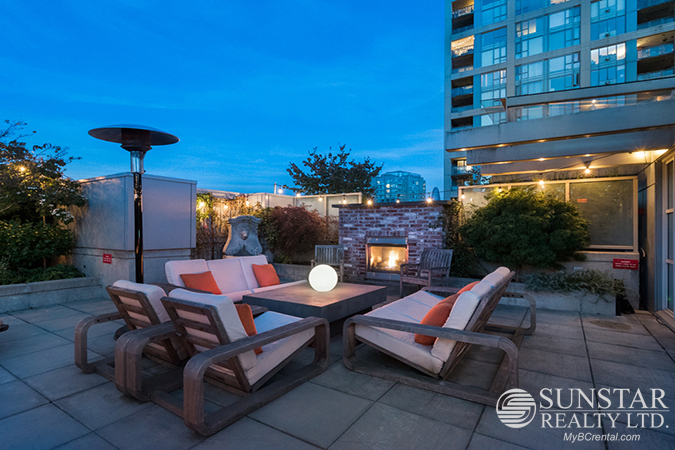 No expense spared in this incredible suite; A/C, hardwood floors, Corian countertops, premium European appliances, spa like bathrooms with Carrera marble countertops and radiant floor heating. 1 parking stall included. 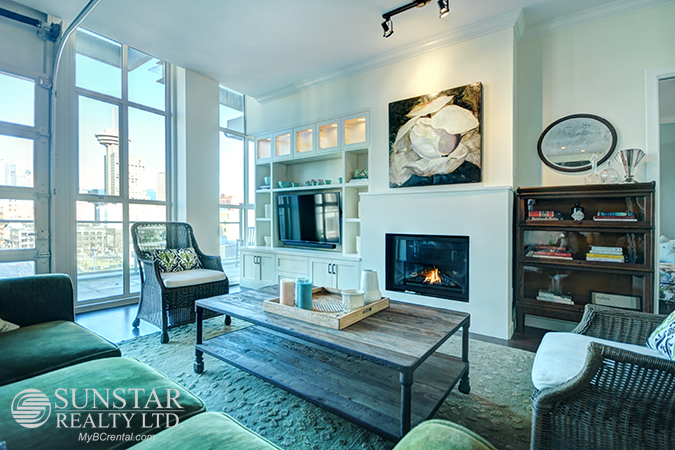 Gastown Furnished Penthouse - Sunstar Realty Ltd.